“He that believes and is baptized shall be saved; but he that believes not shall be damned” (Mak 16:16). “For this is My blood of the new testament, which is shed for many for the remission of sins” (Mat 26:28). “Not every one that said to Me, Lord, Lord, shall enter into the kingdom of heaven; but he that does the will of My Father which is in heaven” (Mat 7:21). At the time Jesus’ work was the redemption of all mankind. The sins of all who believed in Him were forgiven; as long as you believed in Him, He would redeem you; if you believed in Him, you were no longer a sinner, you were relieved of your sins. This is what it meant to be saved, and to be justified by faith. Yet in those who believed, there remained that which was rebellious and opposed God, and which still had to be slowly removed. Salvation did not mean man had been completely gained by Jesus, but that man was no longer of sin, that he had been forgiven his sins: Provided you believed, you would never more be of sin. Mankind had only to accept the Lord Jesus as the Savior for his sins to be forgiven. Nominally speaking, the sins of man were no longer a barrier to his achieving salvation and coming before God and were no longer the leverage by which Satan accused man. That is because God Himself had done real work, had become in the likeness and foretaste of sinful flesh, and God Himself was the sin offering. In this way, man descended from the cross, being redeemed and saved thanks to the flesh of God, the likeness of this sinful flesh. The stage of the last days, in which man is to be conquered, is the last stage in the battle with Satan, and also the work of man’s complete salvation from the domain of Satan. The inner meaning of man’s conquest is the return of the embodiment of Satan, man who has been corrupted by Satan, to the Creator following his conquest, through which he will forsake Satan and completely return to God. In this way, man will have been completely saved. Man’s flesh is of Satan, it is full of disobedient dispositions, it is deplorably filthy, it is something unclean. People covet the enjoyment of the flesh too much and there are too many manifestations of the flesh; this is why God despises the flesh to a certain extent. 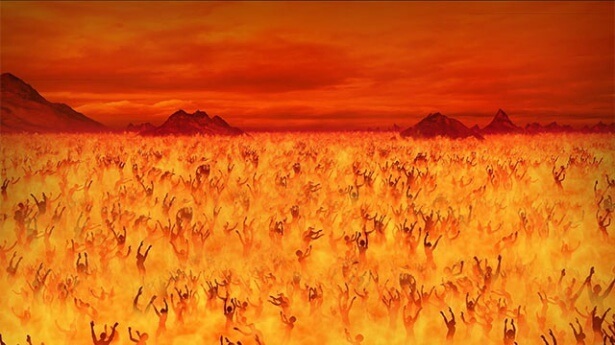 When people cast off the filthy, corrupt things of Satan, they gain God’s salvation. But if they still do not divest themselves of filth and corruption, then they are still living under the domain of Satan. People’s conniving, deceitfulness, and crookedness are all things of Satan. Saving you is allowing you to escape from these things. God’s work cannot be wrong; it is all in order to save people from darkness. When you have believed to a certain point and can divest yourself of the corruption of the flesh, and are no longer enshackled by this corruption, will you not have been saved? When you live under Satan’s domain you are incapable of manifesting God, you are something filthy, and cannot receive God’s inheritance. Once you have been cleansed and made perfect, you will be holy, you will be a proper person, and you will be blessed by God and delightful to God. 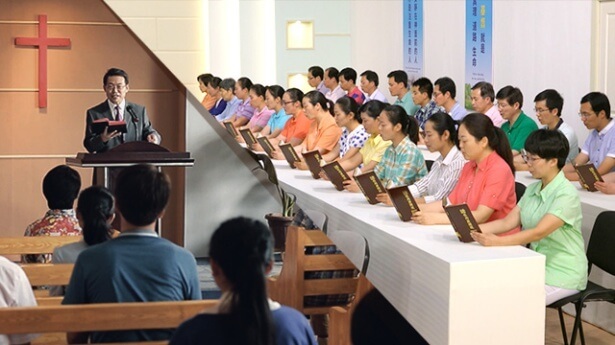 Those who, in God’s work, can accept His trial, accept His sovereignty, submit to His authority, and gradually gain real experience of His words, will have attained real knowledge of God’s authority, real understanding of His sovereignty, and will have truly become subject to the Creator. Only such people will have truly been saved. If one can truly enter into the reality of God’s words from the matters and the words required by Him, then he will be a person perfected by God. 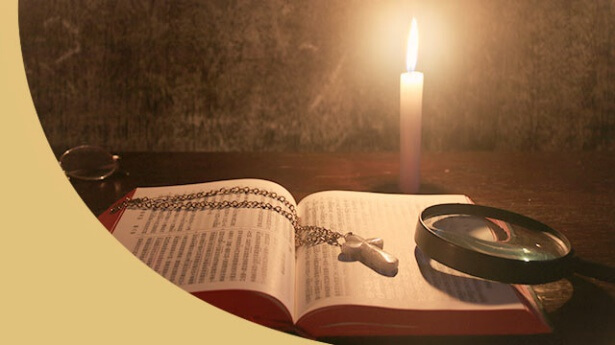 It can be said that the work and the words of God are completely effective for this person, that God’s words become his life, he obtains truth, and he can live according to God’s words. After this the nature of his flesh, that is, the foundation of his original existence, will shake and collapse. After one has the words of God as his life he becomes a new person. The words of God become his life; the vision of God’s work, His requirements of man, His revelation of man, and the standards for a true life that God requires man to achieve become his life—he lives according to these words and these truths, and this person becomes perfected by the words of God. He experiences rebirth and becomes a new man through His words. Today’s truth is given to those who yearn for and seek it. This salvation is granted to those who yearn to be saved by God, and is not only meant to be gained by you, but is also so that you can be gained by God. You gain God in order that God can gain you. Today I have spoken these words to you, and you have heard them, and you should practice according to these words. In the end, when you put these words into practice will be when I have gained you through these words; at the same time, you will have also gained these words, which is to say, you will have gained this supreme salvation. Once you are made clean, you will have become a real human being. If people experience until the day comes when their outlook on life and the significance and the basis of their existence have entirely changed, when they have been altered to their very bones, and have become someone else, won’t this be incredible? This is a great change, an earth-shattering change. Only when you are disinterested in the fame and fortune, status, money, pleasure, and luxuries of the world, and can easily forgo them, will you have the likeness of a human being. Those who will ultimately be made complete are a group such as this; they live for the truth, live for God, and live for that which is just. This is the likeness of a true human being. Previous : What are the differences between church life in the Age of Grace and church life in the Age of Kingdom? Next : What are the essential differences between being saved and attaining full salvation?